Merquen Infused Maple Syrup - Miam! Merquén is a chili blend from the Mapuche region of Chile. The peppers are ripened to a dark red color to develop rich flavor then slow smoked over a fire. 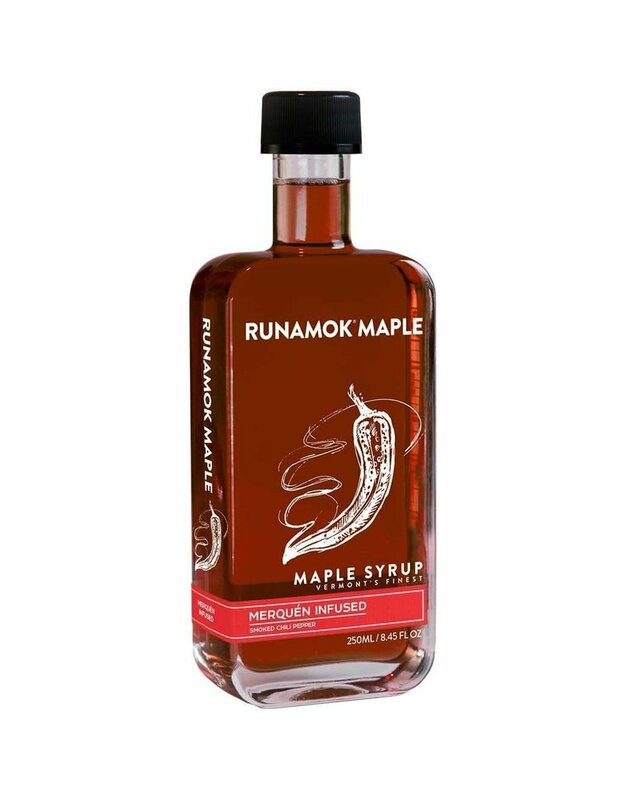 When they are infused in this maple syrup, all of the profiles of the pepper – the heat, the smokiness and the rich pepper taste are magnified by the caramel tones of the maple. Use this one over cheddar cheese, bbq, vinaigrettes, roasted vegetables or meats. And just a half teaspoon in a cocktail will give the drink a bit of spice and mystery.